That got me to thinking. I wonder how we Americans are doing with our spending on food and clothing? The U.S. Census Bureau conducts a Monthly & Annual Retail Trade Survey. According to the survey the average per person spending on retail in this country in 2011 was $13,275, which covers everything bought in stores and gas stations. Here’s what I find interesting. The Bureau includes on the bottom line of its spreadsheet “food services and drinking places,” which is not included in total retail sales. In 2011 this number was $1,588, which would be nearly 11% of total retail spending if it was included. That’s an average of $4.35 every day, per person spent on eating and drinking out. 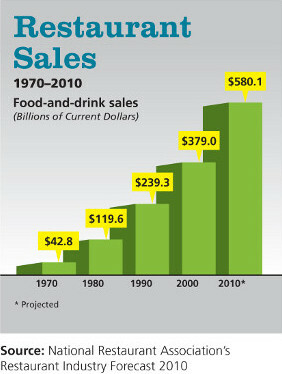 “Food and beverage stores” are already 19% of total retail spending. “Clothing and accessory stores” make up 7% of retail spending. Here we might think Jesus was speaking prophetically to us, in our culture, in our time. The two fastest growing categories of the 13 included in the survey are clothing at 6.8% average growth a year and food and drinking services at 6.1%, well beyond the third fastest growing category of gas stations at 4.3%. Overall retail spending, not including food and drinking services, grew at 2.2% a year. Food and beverage stores grew at 1.1% a year. OK, confession time. Eating out is the one vice that our family indulges, me especially for lunch. We do spend frugally on clothes. The average person spent $736 in 2011 at clothing and accessory stores. Does that sound reasonable? Sounds more reasonable to me than $1,588 on eating and drinking out. What we spend our money on says a lot about who we are, what we care about, our priorities, and how we’re raising our children. Likewise, how we spend our time says a lot about us. Eun-Hye and I are currently reading an eye-opening book on our competitive culture and the escalation of busyness as a badge of self-promotion and corporate expectations. The book is titled Overwhelmed: Work, Love, and Play When No One Has the Time by Washington Post journalist Brigid Schulte. She is married to Tom Bowman who covers The Pentagon for National Public Radio. They have two children. In the book she reveals many personal stories of near nervous breakdowns trying to juggle work and family. My favorite story is one she told in a recent NPR interview about how she was preparing Thanksgiving dinner and something like 18 guests were coming to their house in three hours, and Tom grabbed a six pack of beer from the frig and told her he was going to his friend’s house to help him roast his turkey. I don’t know who has more guts in that story. Her, for not killing him, or him, for letting her tell that story. When Schulte met a sociologist who studies time and he told her she enjoyed 30 hours of leisure each week, she thought he was crazy. She then went on a journey to discover why so many of us find it hard to slow down and pause in life. The American Psychological Association reports that Americans are chronically overstressed. The World Health Organization found that Americans live in the richest country, but they are also the most anxious. The average high school kid today experiences the same level of anxiety as the average psychiatric patient of the 1950s. And perhaps most disturbing, scientists are finding that when children are exposed to stress–often stemming from the overwhelm of their parents–it can alter not only their neurological and hormonal systems but also their very DNA. Schulte met one researcher and her team who analyzed a random sample of 600 hundred family Christmas letters looking for “signs of people living authentic lives. They found only thirty-two.” These few “authentic” letters revealed a heightened self-awareness of life’s precious moments, whereas the vast majority focused on recounting “the hectic busyness in everyday life.” By the standards of our Christmas letters, a small minority of us are living “authentic” lives, about 5% of us, by this measure. According to Jesus, who were the people living authentic lives during his time? There is one sure example of what Jesus thought was an authentically lived life in this morning’s Gospel reading [Luke 21], the widow at the temple. Whenever we read something like this in the Bible, we should immediately identify ourselves with the “rich” or the “Pharisees” or the “scribes” because they were the people who were living within the privileged confines of the dominant culture. Doesn’t it seem odd there is no conversation by the disciples about Jesus’s rebuke and critique? Did they get it? Were they totally oblivious? Whatever the case may be, it is clear Luke wants his readers to contrast the widow’s offering with the ostentation of the scribes and those adoring the wealth of the temple’s ornamentation. Jesus does not criticize the rich for being wealthy, nor does he criticize the temple for its ornamentation. But because he proclaimed the temple will be destroyed, Jesus did seriously challenge their priorities … by then talking about things that bring true suffering, like wars, insurrections, earthquakes, famines, and plagues. Buildings can get destroyed, and eventually all buildings will decay and ultimately fade away, but buildings don’t suffer. People suffer, especially from wars, insurrections, earthquakes, famines, and plagues. Many church groups like to take this passage and others like it out of context and dump it into their “end times” theological stew of puzzles and riddles from Daniel and Revelation that have no bearing in their original historical context. They say Jesus was talking about the “end of days,” and now that these things are happening (hey, just turn on your TV! ), we should be on the look out for the return of Jesus! But what did Jesus say? “When you hear of wars and insurrections, do not be terrified; for these things must take place first, but the end will not follow immediately.” Of course wars, insurrections, earthquakes, famines, and plagues have been going on for millennia and still do. Let’s go back to the question that prompted Jesus to give this long discourse in chapter 21: “They asked him, ‘Teacher, when will this be, and what will be the sign that this is about to take place?’” They were referring to his insinuation that the temple will be destroyed. (Of course the temple was destroyed in the year 70.) Jesus responds first by saying, “Beware that you are not led astray …” And as I mentioned, Jesus does not answer the question about when this stuff will happen, except to say that persecution will come first and then the more global-type stuff. Should we live a life of scarcity so that we, too, may suffer in poverty? So, what does this mean for us today? In our comfortable culture? In our rich country cut off from the rest of the world by huge oceans? We’re not being persecuted for our faith. We’re not being arrested for our faith. We’re not fighting wars, though a tiny percentage of us in the military and military families do face the stress and strain and suffering of warfare. There are no insurrections in this country as there was recently in Ukraine. Yes, we do have earthquakes, but not really here in Illinois. We don’t have famines. We don’t have plagues. But we do have poverty. We do have widows in poverty. 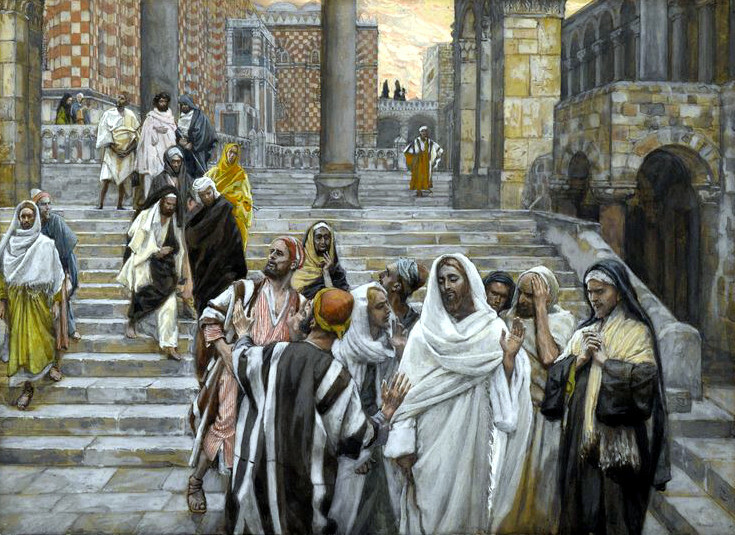 Jesus criticized the scribes “who like to walk around in long robes, and love to be greeted with respect in the marketplaces, and to have the best seats … and places of honor at banquets … and for the sake of appearance say long prayers.” We don’t walk around in “long robes” or do we? We are ramping up our retail spending on clothing faster than any other category of retail spending. We’re ramping up our spending almost as fast in the food and drink “places of honor.” And we’re certainly not praying long prayers on the street corners, but we are crafting Christmas letters to communicate how busy we and the children are with all of our accomplishments. Should we live a life of scarcity so that we, too, may suffer in poverty? There are plenty saints in the church who claim Jesus advocated living a life of poverty, no, simplicity is a better word. When we tally up our stress over all of the programs and activities in our lives and our children’s lives, do we find that our stress weighs us “down with dissipation … and the worries of this life” so much so that our senses our deadened to the suffering of others from wars, insurrections, earthquakes, famines, and plagues? Jesus advocated living a life of poverty, no, “simplicity” is a better word. Often in Lent we feel the pull to “give up” something to remind us that Jesus gave up everything for us; that is the Christian cultural expectation. Let’s try something different. Let’s take on something new that will help us be alert and be on guard against our hearts being weighed down. To defend against a siege in pre-modern times people built massive walls and earthworks around cities with strategic locations for counterattack. As Brigid Schulte highlights in her book Overwhelmed, we’re under the siege of stress, largely from information and entertainment overload and ever escalating cultural expectations for work and family performance and perfection. As she points out, those elevated expectations and our complicity with them is making us dumber and burned out. As individuals we can’t change “the overwhelm” culture, as Schulte calls it, but we can build up our healthy defenses. This Lenten season let us discern the difference between “stress” and “suffering.” And if we feel like we’re suffering because of our stress, then let’s do something about it. Let’s get professional help, if our stress is too high. Let us build up our defenses with “prayer for strength,” with open and honest Christian fellowship where we are not afraid to talk about stress instead of being busy, with deep, accountable Christian fellowship, such as with the Celebrate Recovery group that’s starting here in Plainfield on Thursday, April 3, at Crosswinds Church on Route 59. Celebrate Recovery is a ministry supported by area churches, including PUMC, to help each other heal through their hurts, habits, or hang ups. Please ask me, Pastor Eun-Hye, Pastor Sherry about this transformative ministry if you want to know more. The ending of Luke 21 helps us discern and build up our defenses: “Every day he was teaching in the temple, and at night he would go out and spend the night on the Mount of Olives, as it was called. And all the people would get up early in the morning to listen to him in the temple.” Jesus worked during the day, preaching and teaching with the crowds, but during the night he went away to relax and rebuild his defenses against the endless rounds of questions and demands on his time. We should do the same. We all need our own Mount of Olives.